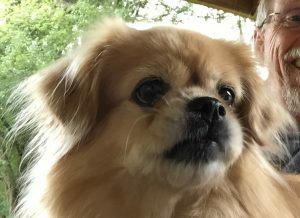 The Tibetan Spaniel Club of America Rescue & Health Trust (the “Trust”) and the Tibetan Spaniel Club of America, Inc. Rescue Committee partner to rescue and re-home homeless Tibetan Spaniels. The Trust and TSCA have a separate but symbiotic relationship—the Trust provides financial support while the TSCA Rescue Coordinator and volunteers provide the “boots on the ground.” Their joint objective is to place homeless Tibetan Spaniels in loving, lifelong, adoptive families and to enhance the love of this enchanting breed. Last but not least, this section includes a page showing some happy adoptees and their new families.